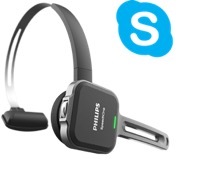 The only professional dictation headset geared for speech recognition – Speech Processing Solutions, the world number one in professional dictation, has just launched its latest headset microphone, the Philips SpeechOne. The wireless headset is ultra-comfortable, features diverse and innovative wearing styles, it offers superior studio-quality audio recordings designed for speech recognition, an antimicrobial housing and replaceable exchangeable ear cushions. It is the perfect work companion for turning speech into text. Its high speech clarity minimizes transcription mistakes and saves the user time and resources, allowing them to focus on their core tasks. Contact us now to arrange an obligation-free demo on any of our Philips products and let us show you how much more productive and efficient you can be.